1. Image quality is outstanding. 2. The stamp itself is sturdy and of great quality. 3. The ability to manipulate these stamps is fantastic! I can bend to my hearts content, but they still keep their shape when I am finished. Overall I am really impressed with their stamps. They have great image clarity, they are durable and bottom line, I would totally buy more! What do you think? Would these make your Christmas list? Let us know by noon EST on Tuesday and we will draw a name to win a great prize from Technique Tuesday! I love the Christmas tree stamp. the card you made was simple and Fabulous! I have several Technique Tuesday stamps and their quality is simply outstanding. They are some of the best clear stamps I've ever used. They ink up beautifully every single time, regardless of what ink you're using. I've never had the need to prime them before use, and they also have amazing details that can sometimes be lost on the clear stamps. I especially liked how they explained the difference between good quality clear stamps versus the "not so good". Really spelled it out to me how I could tell right away which stamps were the best. 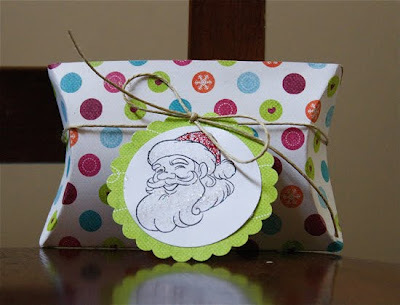 Love the stamps and really love the projects made with them!!! I have a couple of different sets of Technique Tuesdays stamps and I'm very pleased with the quailty of the stamped images! s Christmas cards!! I have not had the chance to try any of Technique Tuesday's stamps yet, but would love to!! Love these stamps! Would love to add them to my collection. I have used their stamps once and I thought they were awesome! Thanks so much! I too am not that great with stamps. I don't know how to shade and texture and all that jazz. I do, however, love Technique Tuesdays! They are wonderful to work with, and I love the lines and patterns. The font is adorable. One of my faves! I love Technique Tuesday stamps but don't have that many. I would definitely use these sets! I love TT stamps! I took a class with them last year at a CK convention and it was awesome! I love their products, they are always such superior quality. I would love to add these to my personal stamping supplies. I have some older sets of TT stamps and they are definately great quality. Due to finances, I have not bought any of the last few years sets. I'd love to have some new ones for my collection. Those projects you did are FAB-U-LOUS!!! I love Technique Tuesday...I think that I might need my third binder to hold all those stamps I have from them. I have found that if you stamp the stamp first with VersaMark that more of the color comes off when the stamp is cleaned. I love the Holly Jolly Christmas set - the retro look is so cute! Thanks for the review! Yes, I think they'd make my list! I am fairly new to scrapping and don't have many stamps yet but it is something that I would like to use more. This sound like good quality stamps. I particularly like the Christmas tree. I think these are fabulous stamps! I made my own "paper" this year with stamps but I love these stamps so much more than what I have. Thanks for sharing and Happy Holidays! These definitely make my wish list! I really like Technique Tuesday stamps. They're some of my favorites and the designs are so useful and versatile. The projects you made were super cute! Thanks for the info. I also have several Technique Tuesday stamps and love their designs. The Ali Edwards line is one of my favorites - I love her handwriting. But the Christmas tree is my favorite of the ones that you used. It is so classic looking! I have a few of the Tech Tues. stamps and love them. I have been eying several stamp sets from Technique Tuesday for awhile now. The only reason that I haven't bought any because these would be my first real set of stamps, and I'm already a paper hoarder and Thickers hoarder, and I feel like I would be a stamp and ink hoarder if I went down that road now. However they look wonderful and they have so many versatile stamp collections. I'm eager to see what they come up with next, and what I absolutely can't live without!!! I love that Xmas tree!! Your O Christmas Tree card is beautiful! I really like these stamps. Of course I am a HUGE Technique Tuesday fan already. I would definitely buy these. I think my favorite is the Santa. Although the Christmas tree is very cool. I am less of a snowflake fan because of the whole live in the desert, it never snows. But this tree would be an exception to my no snowflake rule. I have a lot of their stamps and love them. Especially love that they carry Ali Edwards stamps!! These look pretty cute. I have a nice hoard of Christmas stamps, but I'm always on the lookout for more! Love, love, love Technique Tuesday! They are my favorite clear stamps by far! The quality is awesome and I love their designs! Cute stuff! Love Christmas stamps and those are just adorable! Technique Tuesday always has such cute stamps! That snowflake tree is beautiful and love the card you made with it. I also like the sentiments with that script style. What gorgeous stamps! I especially love the christmas tree. These will definitely be on my wish list! I've been a fan of theirs for a long time. Clear stamps rock! I love that tree and who doesn't love snowflakes! btw...yep, staining does happen and doesn't hurt the stamp at all. In fact, I prefer it b/c then if I drop my stamp on the floor I can find it easier when there is a bit of color stain on it. Those look like a must have scrap product!!! Yes, these would definitely make my Christmas list!! Especially that tree...love how you use it. I've always loved Technique Tuesday! I would really like to win some of their stamps! I've heard some good things about Technique Tuesday, never had the chance to try them out though! I have used the snowflakes from the O Christmas Tree stamps for my cards this year-loved them! Cute projects! I remember the first time I saw TT stamps- I bought out their alpha sets right away, and they just keep coming out with great stuff! So yes, these stamps definitely make my list. Thanks for the chance to win! I normally look at stamps and can never see the vision in how to use them. That is why I come to this site, love the way that you have used the stamps and its inspiring. They are also really nice. I love these stamps and I love Technique Tuesdays stamps, you were right they are crisp, well defined stamps. oh wow those new TT stamps are awesome! Luv your cards too, Ashley! I love Technique Tuesday! I love the Technique Tiles, as they are a perfect surface to stamp on, and I like that it is white, and not dark like normal chipbaord. Would love to try the stamps. I particularly love the Santa set. I also love te card you did with the tree! Your Christmas Tree card is simply adorable! i am trying to become better at stamping myself. Thanks for sharing!!! All of these stamps are nice. the Tree card was gorgeous!!! All the stamps are so cute, and I love the christmas tree card you made. Adorable! I love to make Christmas cards so of course they would make my wish list. I love acrylic stamps even if they do discolor. They take up so much less room than the rubber on wood blocks. Thank you for sharing. Merry Christmas and God bless. I love to stamp too, but I'm not awesome at it....I totally love that Santa stamp though ~ he is away too much fun! Great review!! The first clear stamps I ever bought were Technique Tuesday. Those two sets are still my favorite most used stamps. AThe images are quite crisp especially for clear stamps. I have used their chipboard too. One of my favoite features of TT Chipboards is...IT"S WHITE!!! You can ink it and you get just the color you want!! These are some great Christmas stamps, I would love to win a set. I would seriously consider these, the tree is just so gorgeous, and I can see it's versatility. I love the font on the christmas words. I must admit yes I do like wooden stamps but these are very cute. These stamps are adorable. I have just started using stamps and don't have any Technique Tuesday brand. Thanks for the review. I love the Christmas tree stamp and the card you made with it! The stamps are great and would definately be something I would love to use for my Holiday cards! The projects are wonderful. I love the colors that were chosen! Technique Tuesday is the best! I love that Santa! REally great Sant'as are hard to come by and that one is awesome! I love Technique Tuesday stamps and own a bunch of them. 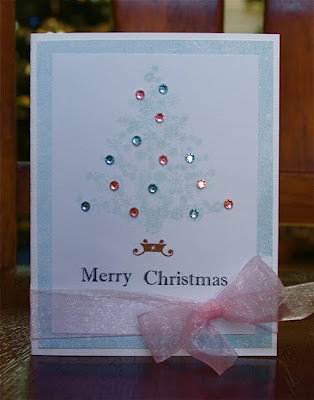 I really like the O Christmas tree stamp and love how you added bling and used it on a card. Beautiful! I love TT stamps. I would really like the first set of word stamps for Holiday cards and my December Daily. Ooooo, I had never heard of Technique Tuesday. I think I like what I see. Thanks for the review. I'm heading over to their website to see what other goodies they have. Technique Tuesday are the first stamps that I look for when shopping. I have many of their sets, and would buy this one for next year's cards. I really like the cards and tag that you made with them. love the christmas tree card you made! so elegant! love these stamps - they would make my list for sure. They would definitely make my list. Love them!!! This is something I would really like I make cards for lots of non-profit organizations I can see this set of stamps in my Christmas stocking. 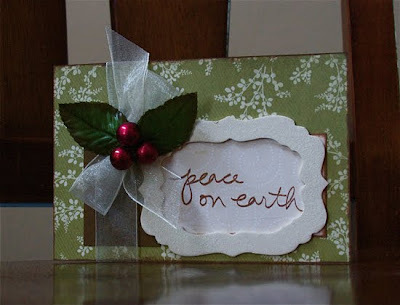 they are darling, and that is a super easy way to make a beautiful christmas card! These stamp sets look very nice. I really like the fancy writing on the first set, the tree on the second set, and the santa w/reindeer on the third set. Oh my gosh, I love the script, and you are right they are so clear. Thanks for the awesome review Ash.. As always very clear and to the point. I have never used a Technique Tuesday stamp but they are definitley on my must have list now! Your cards and pillow box are just adorable. Both stamps sets are so versatile. Thanks for the chance at your giveaway. Love the Christmas tree!! I have lots of their stamps but have never seen this one! Count me in for a chance to win, please. I love all of Ali Edwards stamps from them! I am not familiar w/ their stamps-I thought that it was a blog for techniques, lol! Thanks for the chance! Technique Tuesday is also a generous company. They have had specialty sets for causes like breast cancer awareness and autism awareness. My first experience with them was at CKC when they were REALLY generous at a crop I attended. They gave us a stamp set specially made for the crop, which made me just fall in love with them and realize that I could get a clear image from an acrylic stamp. I am thrilled to see you spotlight this great company. I only have a couple TT stamps, but I have always loved their designs! I'm sure anyone would love any of these! I would! I have a few TT products and they are great! I'd love to try some more!! Of course these would make my Christmas list !!! They are awesome and I could get a jump on next years cards !!! What a generous gift !! Technique Tuesday is one of my favorites anyway...I go to their booth right away at all the CKC's....great products ! Techinque Tuesday stamps are the best! I'd love to get bette rat stamping. I LOVE LOVE LOVE LOVE LOVE Technique Tuesday stamps!!!! I would love some stamps from TT, beautifull detail! I have some TT stamps and their quality and clarity are unsurpassed in my book; love the detail you get when using them. GORGEOUS projects Ashley!! I fell in love with Ali Edwards set as soon as I saw it, just need to save my pennies so I can make it mine! The other sets you've showcased look awesome too, haven't seen those before! merry Christmas my sweet friend!! I love the font used on these stamps. I love all things stamping and all things Christmas, so these fabulous stamps fit the bill perfectly! And your cards are gorgeous and inspiring! Thanks for the review! Oh yeah, these are definitely Christmas list worthy! Love them. I don't have any TT stamps and would love to get some. I do, however, have ALL the TT chipboard frames, wow, what an awesome fabulous unbelievable product and so so so fun to use and to alter!!! LOVE LOVE LOVE them!!!!! And I love the fact they are off-white, so they can literally be popped off and put on the layout and cards with ZERO work!! LOVE that. I love this set and your card is beautiful! I just LOVE Technique Tuesday stamps. The quality is great and their images are outstanding. Not too cutesy. I LOVE my TT stamps! What a great set of projects and stamps!